The Nintendo DS has finally overtake Sony's iconic PS2 to become the biggest selling games console of all time in the UK. As reported on the Official Nintendo Magazine website, Nintendo's handheld console has finally moved past the PS2 – with the latest Gfk Chart-Track figures confirming the news. The total of 10.05 million consoles is enough to breeze past the PlayStation 2 – which is at 10.02 million. Plus, the DS is, of course, still selling well – with the likes of the DSi and the larger DSi XL keeping the handheld up to date and fresh for consumers. The original Nintendo DS arrived in the UK in 2005, and has sole in excess of 113 million units globally. 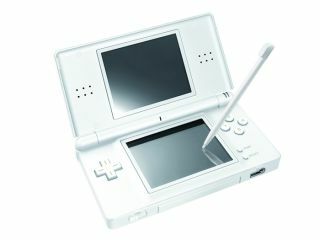 Official Nintendo Magazine's Online Editor Tom East told TechRadar that the DS has quickly become a modern classic. "When DS launched in the UK back in 2005 most critics thought that PSP would trounce Nintendo's latest handheld so it's amazing to think that it's gone on to become the best-selling console of all time in the UK." East explained that it was the breadth of content for the DS that pushed it to this level, appealing not only to traditional gamers with classic titles, but also to a family audience. "Really it's the quality and breadth of the software that has made DS such a success as titles such as Nintendogs and Brain Training have appealed to a wider audience while new Metroid, Mario and Zelda adventures have kept Nintendo fans happy," he added.